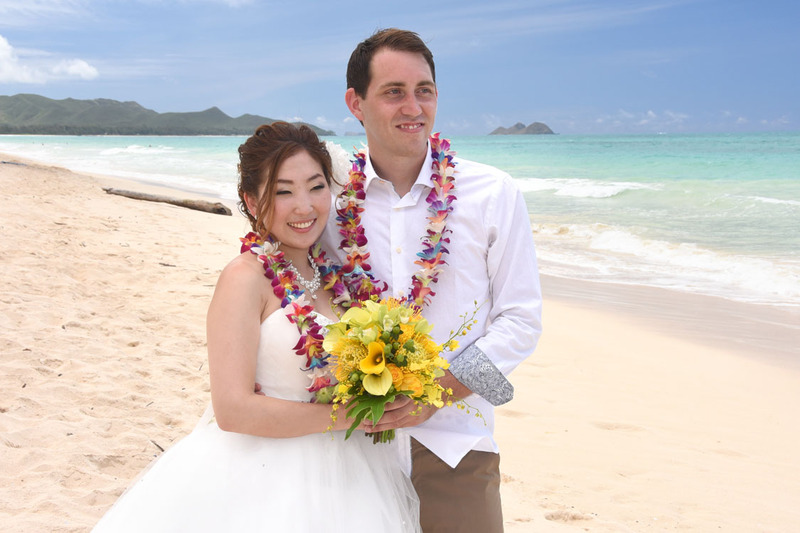 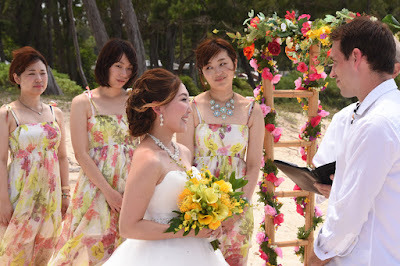 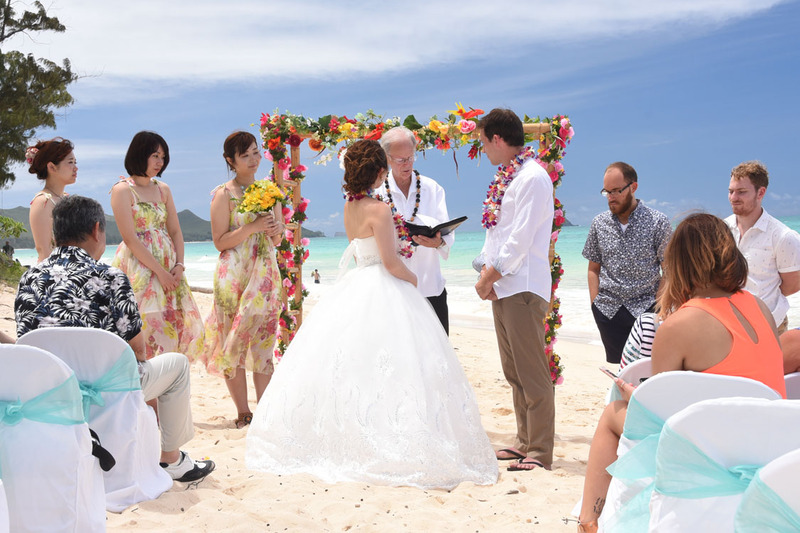 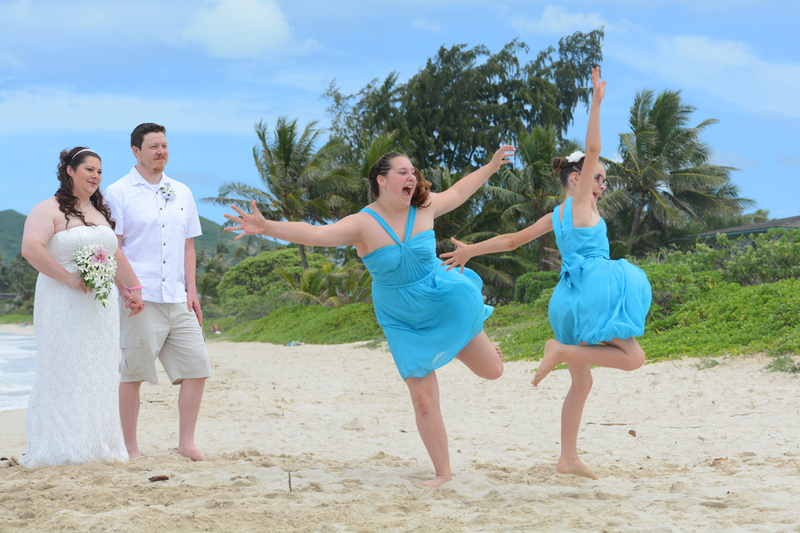 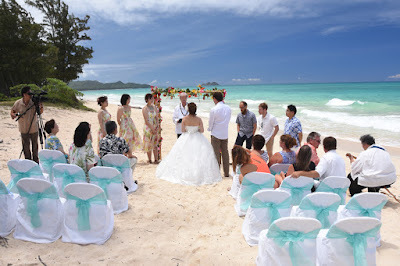 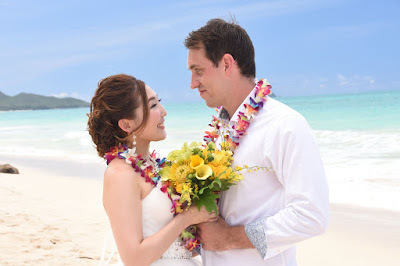 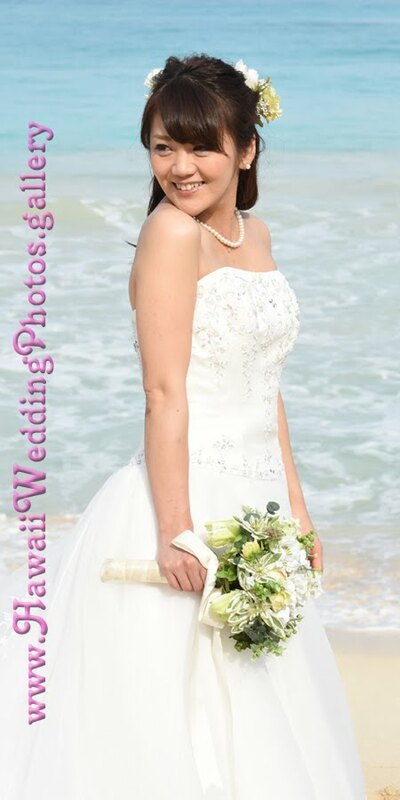 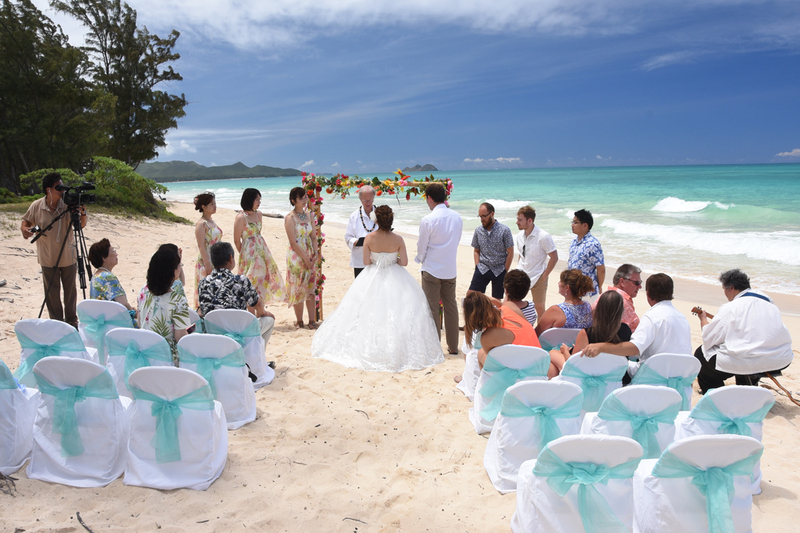 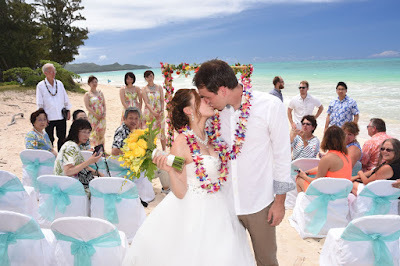 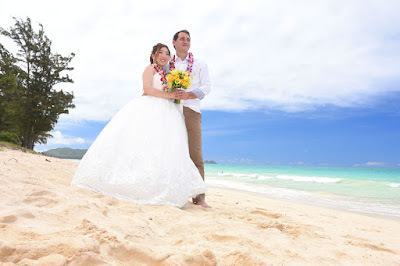 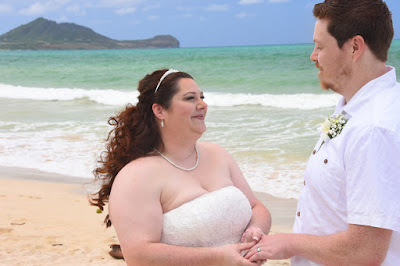 East meets West as Justin and Megumi wed at Waimanalo Beach. 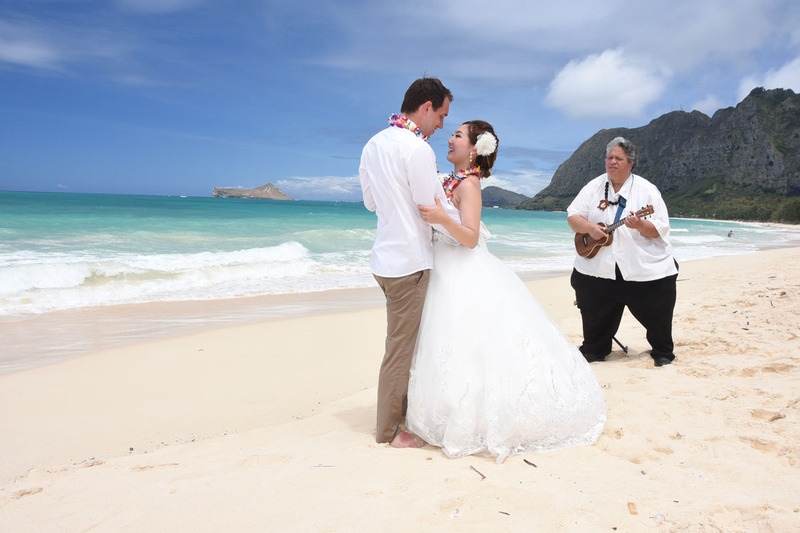 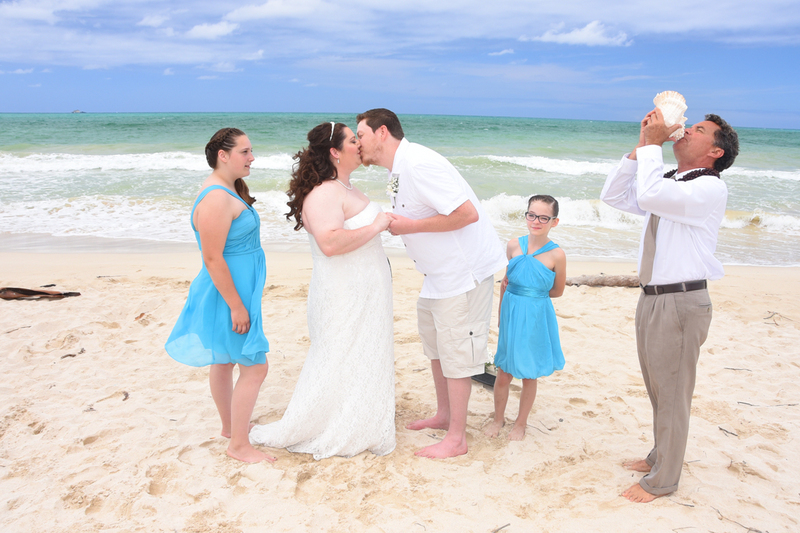 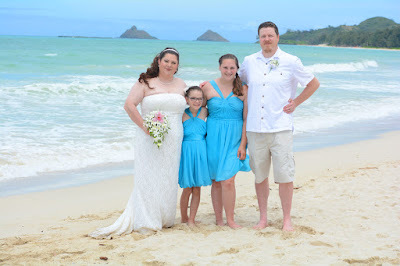 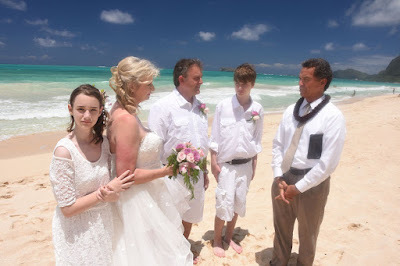 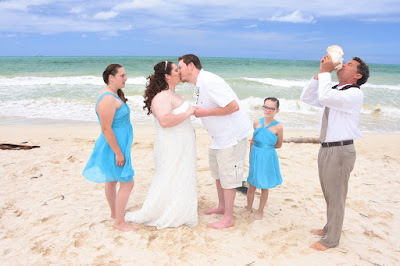 Both families cross the Pacific Ocean to meet for their dream wedding in Hawaii. 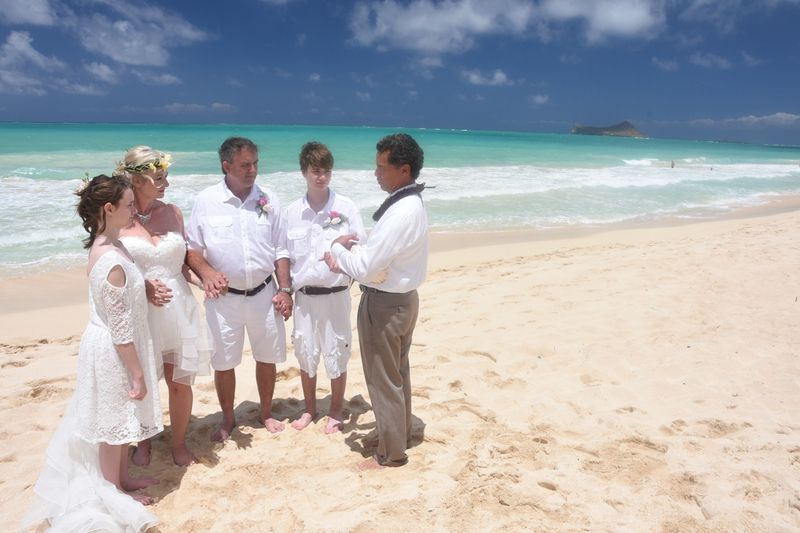 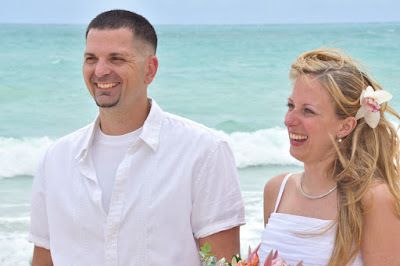 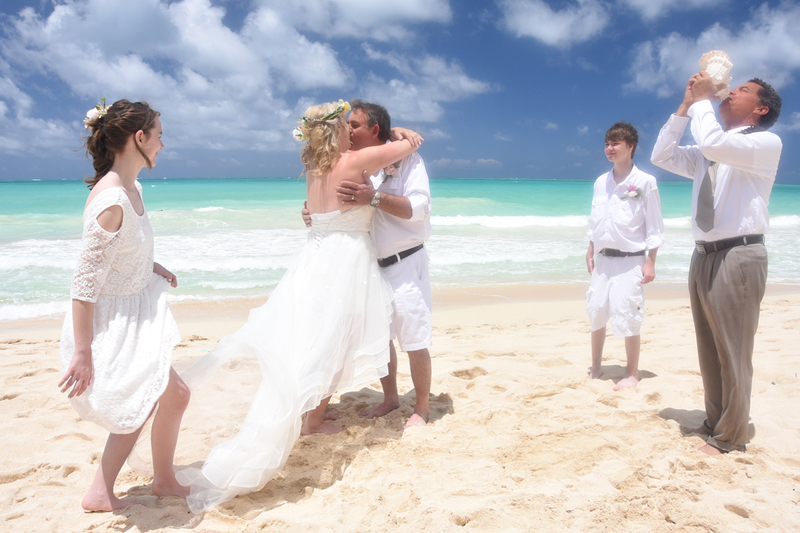 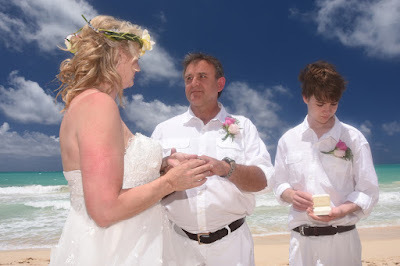 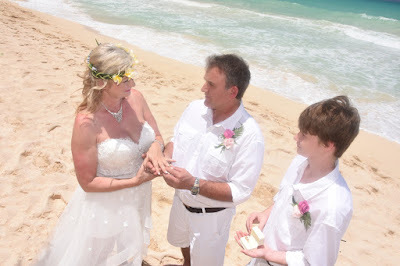 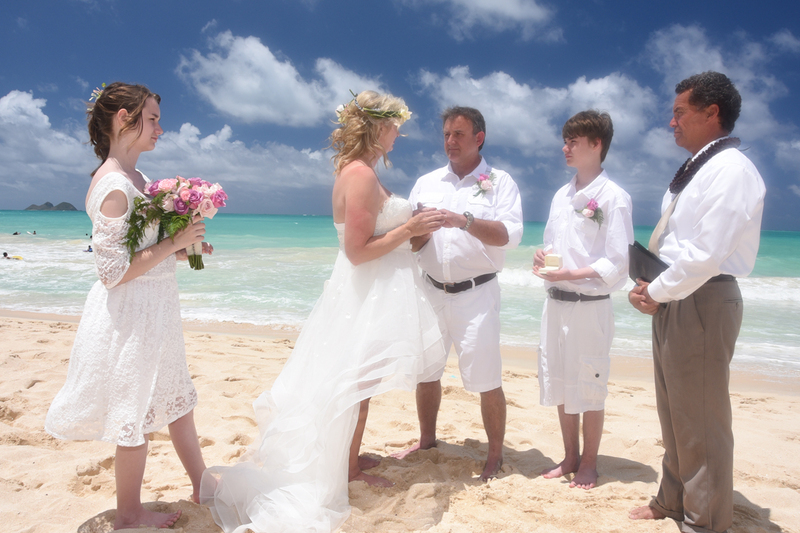 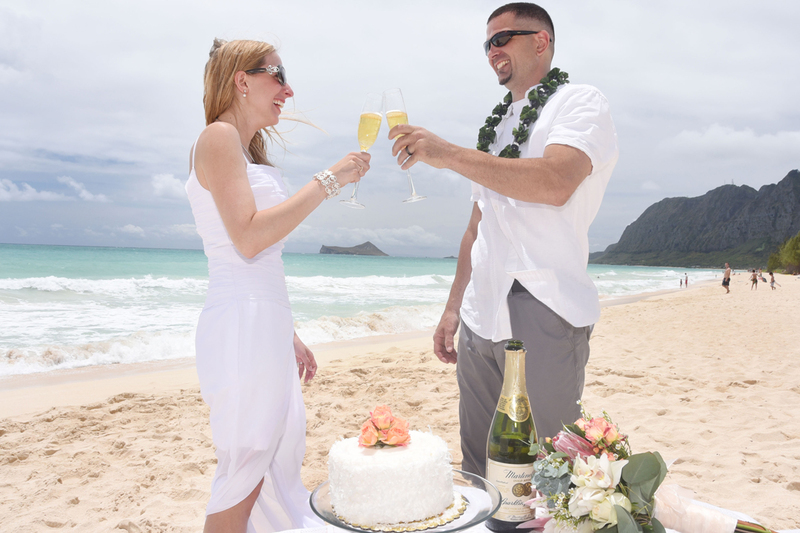 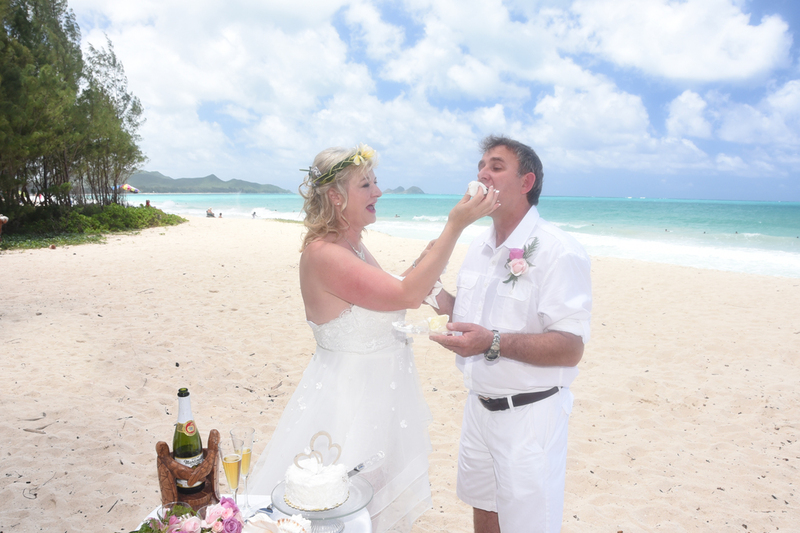 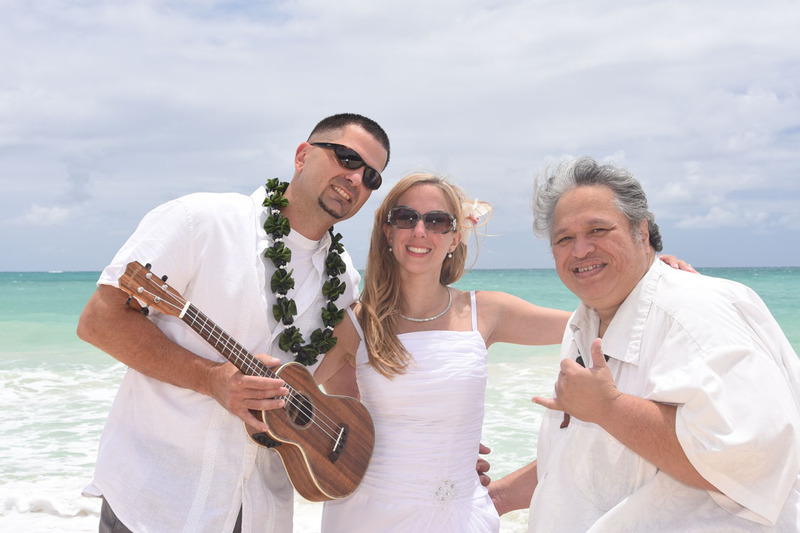 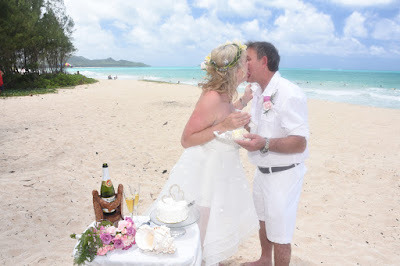 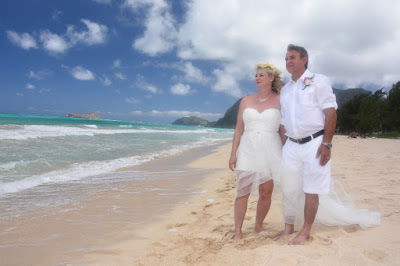 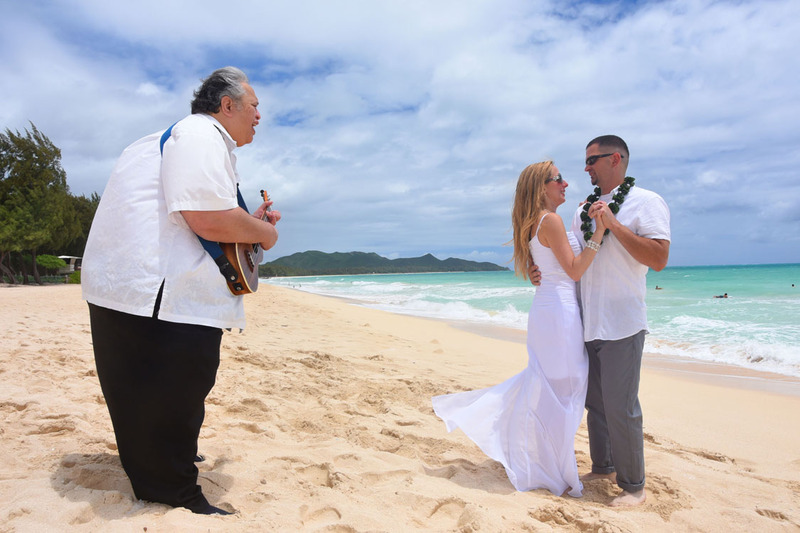 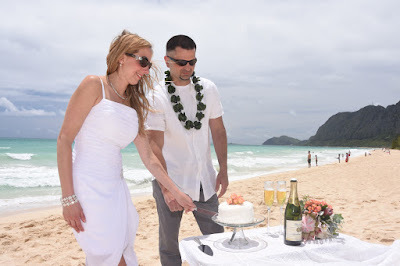 Renewing your wedding vows while visiting Oahu can double the romance in your marriage. 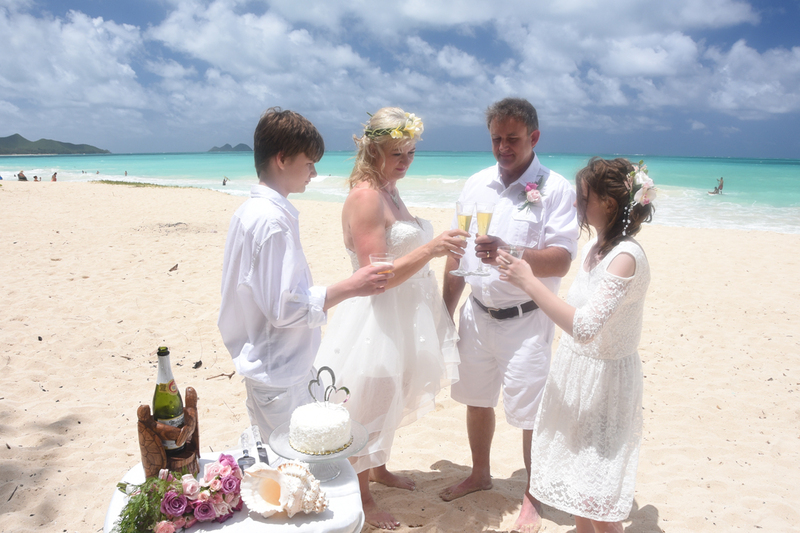 Great way to include the kids in your wedding celebration, with something sweet and delicious. Irish couple Stephen and Irene renew their wedding vows with Rev. Kimo at Waimanalo Bay. 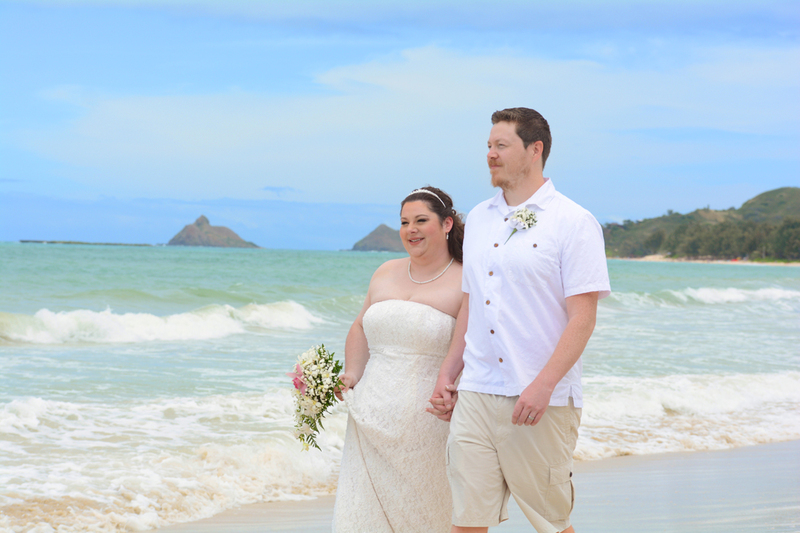 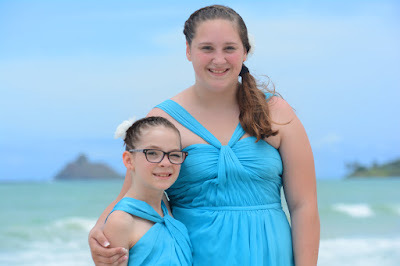 Ryan & Rochelle tie the knot at Kailua Beach with their precious two bridesmaids, and top it off with beautiful Paradise Cove sunset photos.